For good. For Adams County. For ever. 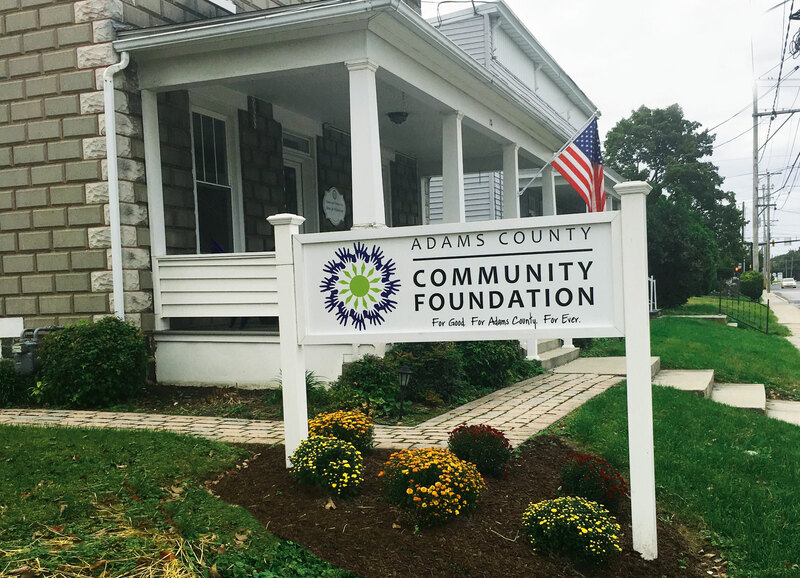 That’s the motto behind Adams County Community Foundation (ACCF), a charitable organization that builds funds to address the needs of Adams County residents, and helps donors carry out their charitable giving by donating to an existing fund or creating their own. Under a new grant-making strategy adopted by ACCF, a handful of Adams County nonprofits are set to receive thousands of dollars. The new strategy, based on a survey of life in Adams County conducted by Temple University and made public in 2016, notes three areas of need: housing, transportation, and youth. According to Donohue, in 2018 the ACCF awarded a total of $148,000 in grants to 14 nonprofits that will, in turn, impact dozens of area organizations and individuals over the next several years. Another large-scope grant focuses on identifying and promoting the character trait called “resiliency” in Adams County’s young people. The $15,000 grant awarded to Collaborating for Youth will pay for a science-based media campaign to increase awareness of and educate residents on how to foster resiliency, which in its simplest terms is defined as the ability to withstand hardship and still move forward in life. When it comes to building resiliency, Andrea Dolges, executive director of the Center for Youth and Community Development, sees many valuable resources and projects available for youth in Adams County. The Resiliency Project will explore participation in extracurricular activities that build self-esteem, strong social support networks, and a belief that one’s own efforts can make a difference. 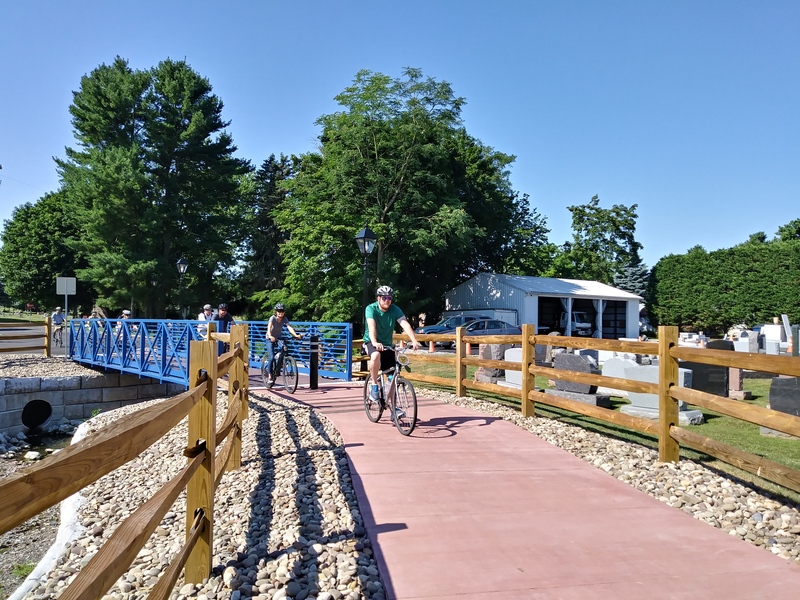 Some grants are simply a small portion of a much larger initiative, Donohoe says, such as the $8,000 grant awarded to Healthy Adams Bicycle/Pedestrian, Inc. (HABPI). This grant will cover the costs of surveying, preliminary engineering, and legal fees for a spur to the Gettysburg Inner Loop, a pedestrian and bike path that circles downtown Gettysburg. The spur will start on Fourth Street, cross properties owned by South Central Community Action Programs (SCCAP) and Spectra-Kote, and provide access to downtown Gettysburg and Gettysburg Station. According to Tom Jolin, a member of HABPI’s board, SCAAP and Spectra-Kote have offered to give the borough access to the right-of-way at no cost. Mission of Mercy, a national nonprofit with offices in Maryland and Pennsylvania, will receive a $10,000 grant. According to Linda Ryan, executive director of Mission of Mercy, the grant will be used to replace its MASH-style mobile dental center with a custom-built van featuring two operating chairs for surgical procedures and one chair for general visits. Funding for the 2018 grants came from donors to the ACCF’s Fund for Adams County and from the Thomas E. & Florence B. Metz Fund, the M.C. Jones Fund, the Donald H. & Mildred C. Hershey Fund, the George & Roberta Wood Fund, the Irene Thomas Memorial Fund, the Ben Franklin Fund, and the Charles Ritter Family Fund. The 2018 Giving Spree is a three-hour gathering at Gettysburg Area Middle School on Nov. 8, from 4-7 p.m. During the event, ACCF will welcome and engage more than 1,100 participants to raise hundreds of thousands of dollars for 80 local nonprofits. Save the date now!